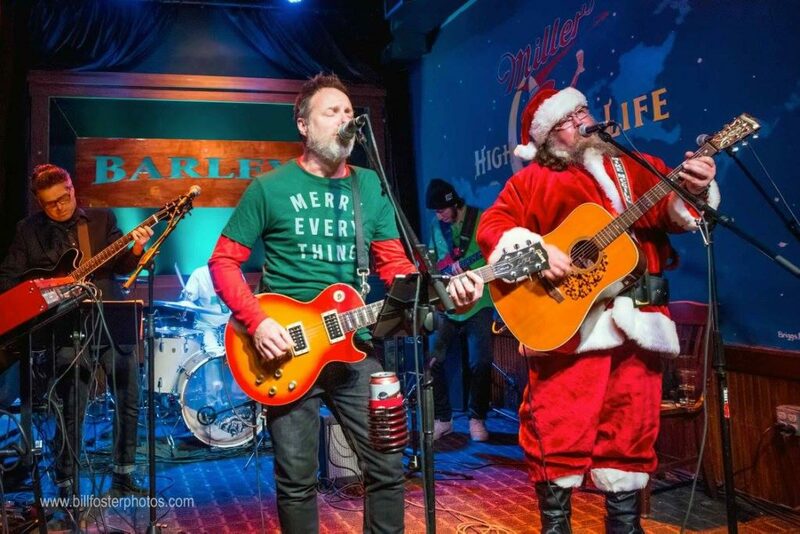 A busy holiday season with several upcoming shows. 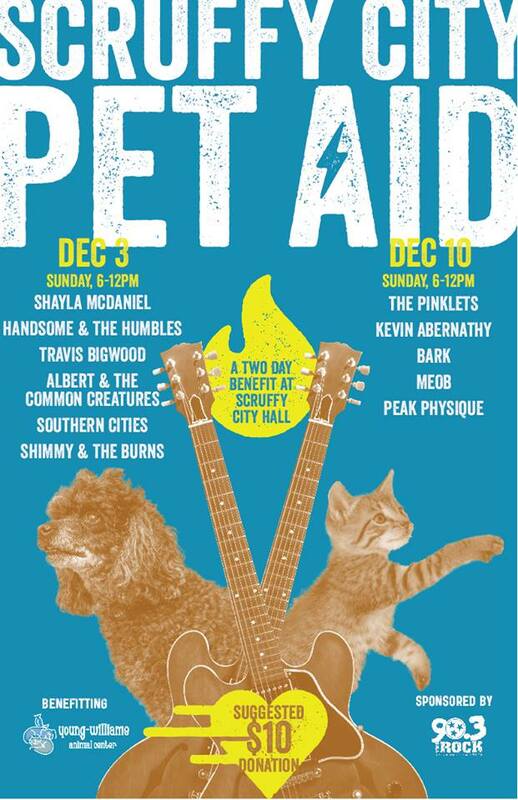 Sunday the 10th I’ll be doing a set at Scruffy City Hall for Scruffy City Pet Aid benefiting Young-Williams Animal Center. 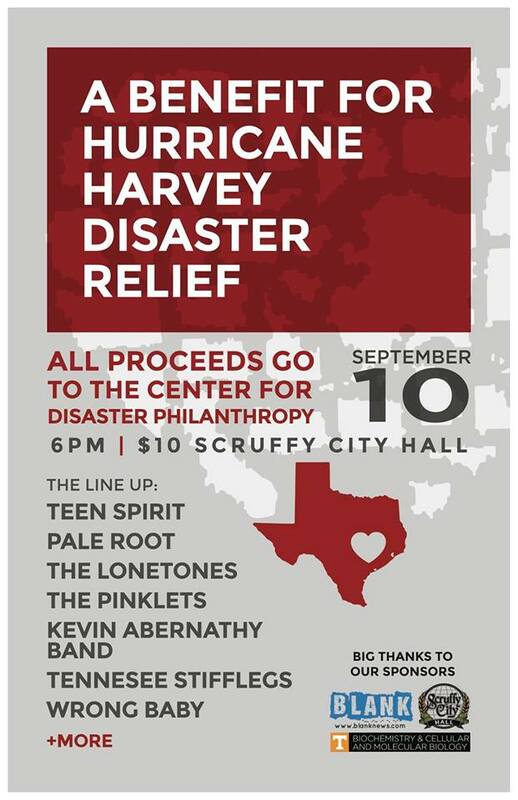 Make sure to check out the other concert benefiting this event on Sunday the 3rd, also at Scruffy City Hall. 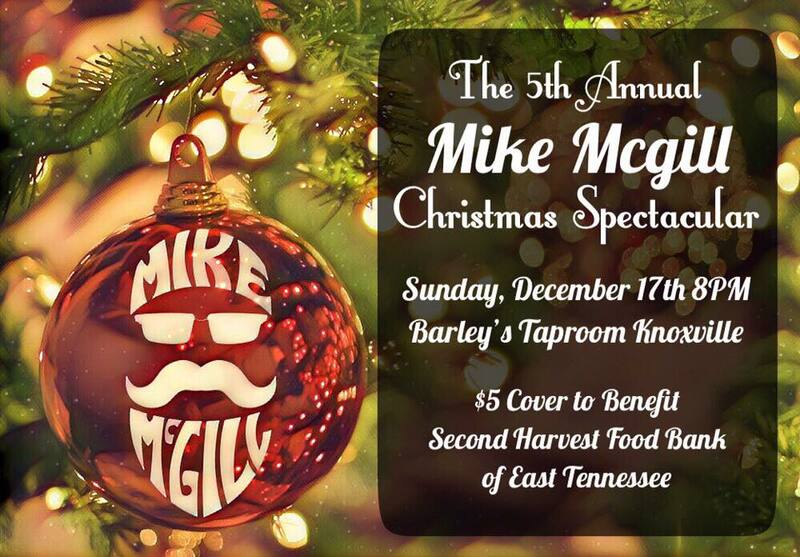 Then on Sunday the 17th I’ll be performing a song as part of Mike McGill’s 5th Annual Christmas Spectacular at Barley’s Taproom in the Old City benefiting Second Harvest Food Bank of East Tennessee. 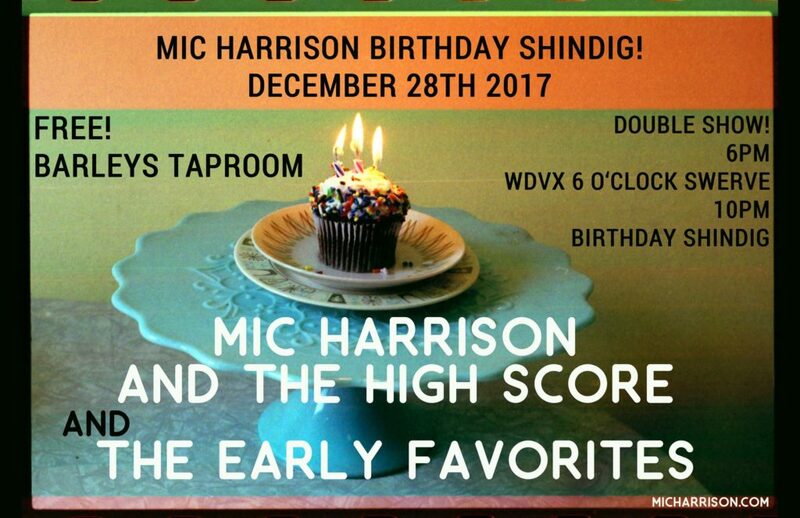 On Thursday the 28th I’ll be back at Barley’s playing guitar with Mic Harrison And The High Score celebrating Mic’s birthday with two shows – first we’ll be playing the WDVX 6 O’Clock Swerve at 6:00 PM, then at 9:30 we’ll be playing a full set for the birthday shindig. Tomorrow night the band and I will be heading down to Blount County to play “Behind The Barn” at Barley’s in downtown Maryville. “Behind The Barn” is a free weekly concert series hosted by Jeff Barbra & Sarah Pirkle and broadcast live on i105 WFIV. If you can’t join us at Barley’s you can tune in live on your radio dial at 105.3 FM or online via streaming audio at www.myi105.com. 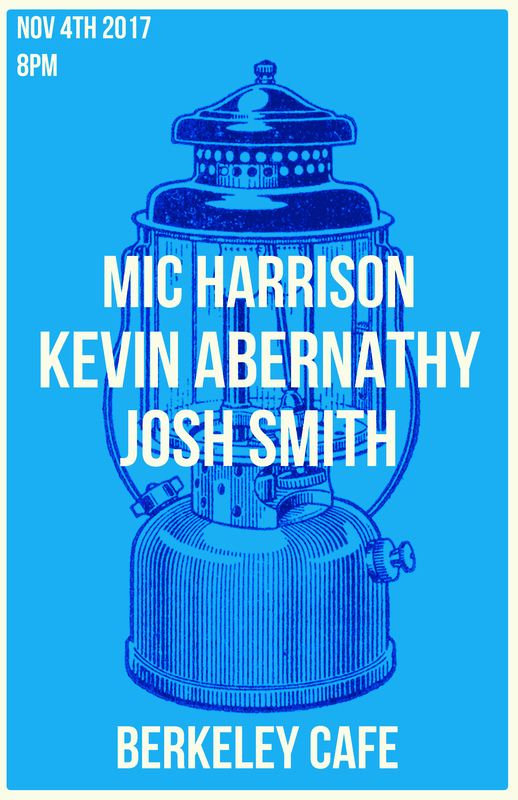 On Friday, Mic Harrison, Josh Smith and I will be heading up to play a house concert in Richmond, Virginia, then at the Berkeley Cafe in Raleigh, North Carolina on Saturday. 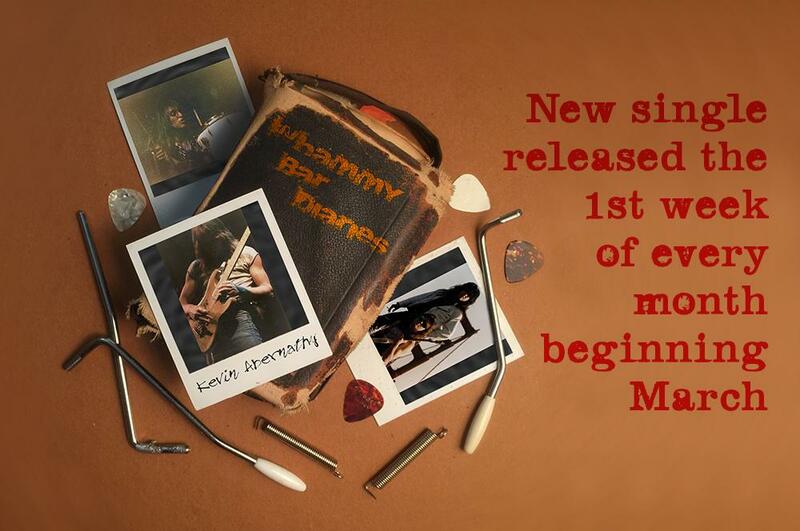 For more info click on over to the Shows page. Our good friends Tim and Susan Lee have had some rough days lately. Susan lost her father, and then Tim’s mom passed just a week later. 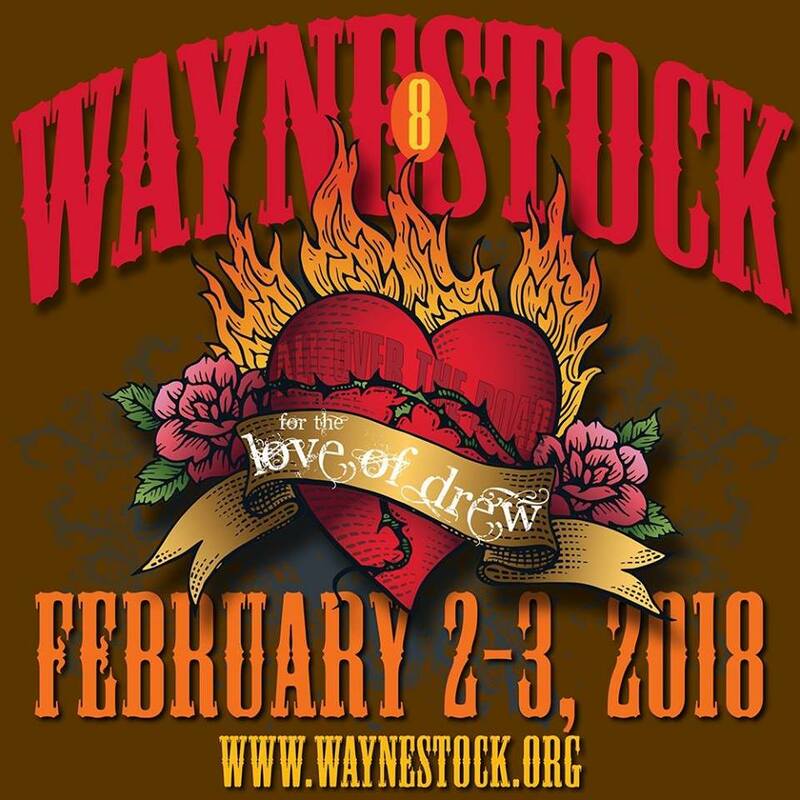 If you know the Lee’s, then you know they’re always first responders for anyone who needs a hand, so a bunch of folks decided it was time to pay it forward and show them the love they so freely give to us. What better way then with friends and music and hot dogs? 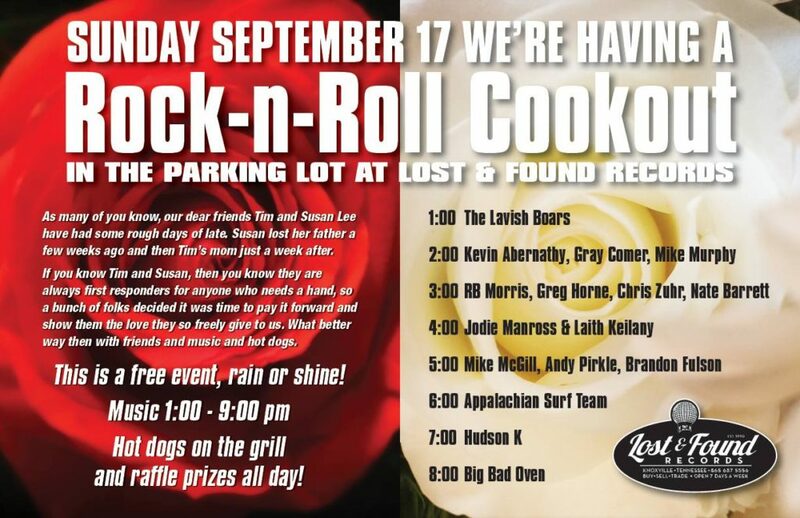 Come join us at Lost & Found Records for the Rock-n-Roll Cookout on Sunday the 17th from 1:00-9:00 PM. This is a free event, rain or shine, with hot dogs on the grill and raffle prizes all day! Here’s the link to the audio of last weeks WUOT Flipside interview with Mr. Todd Steed. Click on it and listen to us talk about Lynyrd Skynyrd for half-an-hour. 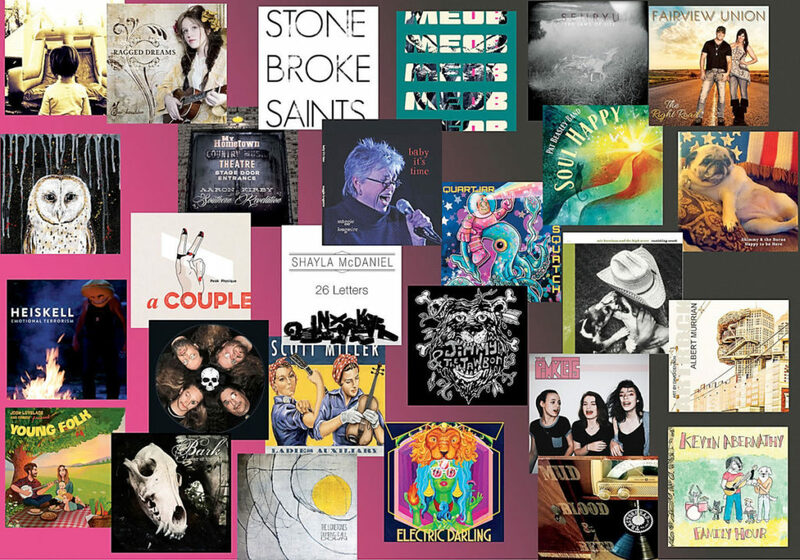 Some artists have the gift, that is, the ability to pluck songs out of the ethos and make them sound whole on arrival. 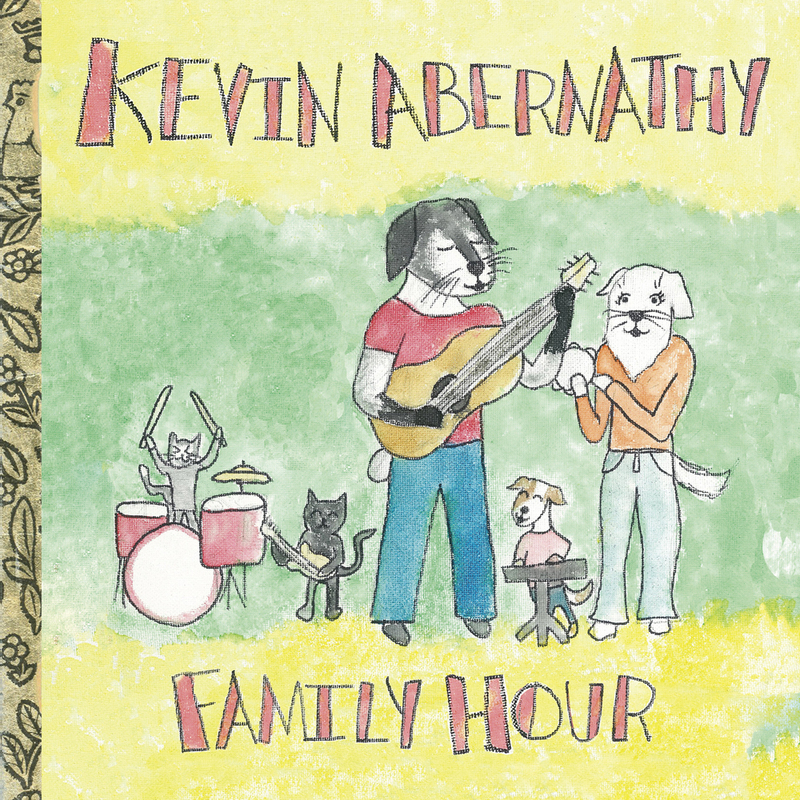 East Tennessee’s Kevin Abernathy possesses that quality, one reason why he’s not only one of the region’s best, but also a singer/songwriter worthy of national renown.